The issue of urban and regional planning has already appeared in the above discussion in several contexts. First, in connection with the positivist-mechanistic eco-city which has entailed what we’ve termed the first planning dilemma. Second, in connection with the (in)justice, humanistic and Marxist cities with their consequent second planning dilemma, and finally, in connection with the postmodern city which implies, as we shall see in a moment, a third planning dilemma. 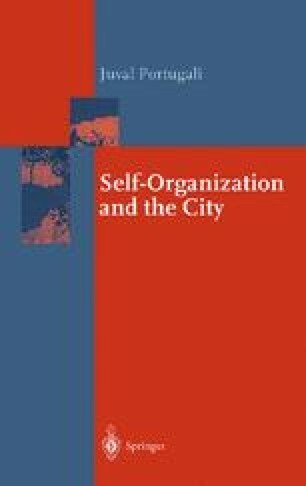 In the following we re-present the above three planning dilemmas as the theoretical context against which we develop the fourth planning dilemma which forms the contents of the present chapter — this is the planning dilemma of self-organizing cities.